With InventoryBase, you can flag items that require a follow-up Action. If you want to permanently change your default Actions, InventoryBase Enterprise provides way to customise them, located on the Actions tab under Settings. You can add up to a maximum of 5 actions per inspection type. 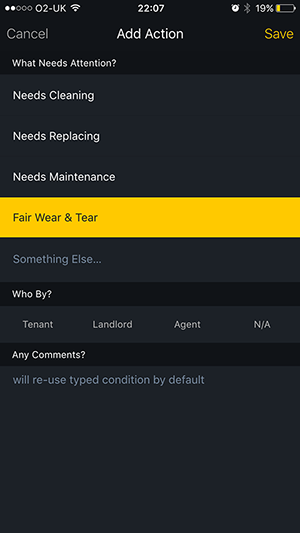 When you customise your default Actions, you and all of your staff will need to tap 'Update Settings' from the app's Settings menu.